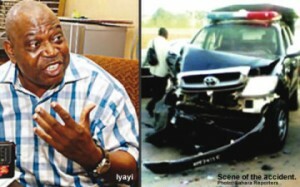 The Academic Staff Union of Universities (ASUU) executive meeting that was earlier scheduled to hold today has been postponed indefinitely due to the involvement of Prof. Festus Iyayi in a road accident on Tuesday. Prof. Festus Iyayi was in company with some ASUU leaders and they were said to be returning from Kano where they sought the views of members on ending the four-month-old ASUU strike. The executive meeting to end the four-month old strike has been postponed indefinitely. More details later – Stay with www.myschoolgist.com.